Himitsu at Secrets Silversands is Deliciously Fun! Are you planning a trip to Secrets Silversands Riviera Cancun? If so, Himitsu is a MUST while staying here! 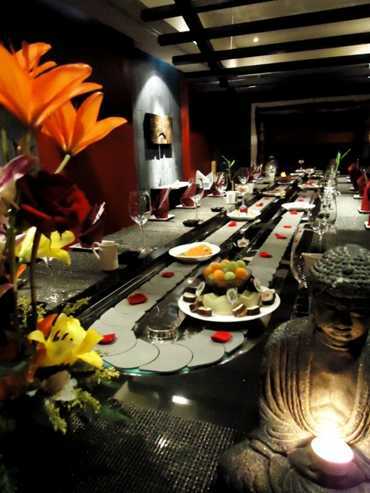 What makes Himitsu so special? 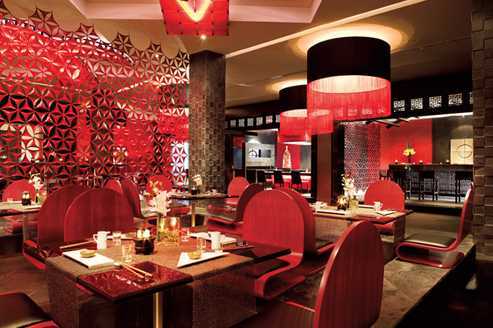 Himitsu offers modern fusion Pan-Asian and Oriental à la carte specialties, a live Teppanyaki experience and a delicious sushi bar. Guests will also experience fantastic service from waiters, restaurant Manager, Agustín and head Chef Severiano. We are proud to have the first and only conveyor belt sushi station (most commonly known as sushi-go-round, sushi-belt or sushi-train) in the Cancun-Riviera Maya area. Himitsu’s sushi bar specializes in delivering sushi to customers using the Japanese style conveyor belt method, very similar to the famous “sushi boat” system. The belt carries sushi rolls and sashimi around the sushi bar circuit, allowing diners to pick any dish they would like to enjoy! 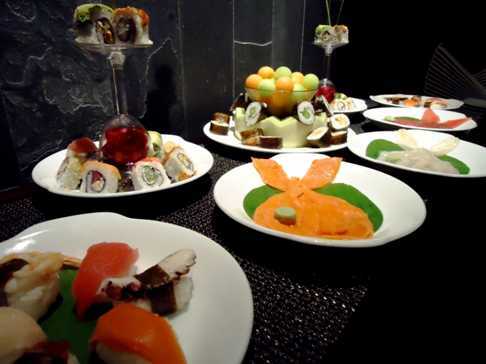 The sushi chef, Alonso, has more than 7 years of experience in Oriental cuisine. He studied in Japan with great chefs that taught him the secrets of Oriental cuisine. Some guests like to enjoy the sushi belt experience with some refreshing cocktails to start the night. How about a Geisha cocktail? A delicious house cocktail created especially for sake lovers! Also, Don’t forget to try the house rolls: Himitsu Special and Silversands! Yum! 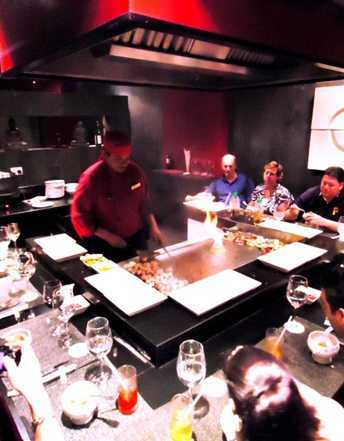 Himitsu also boasts two Teppanyaki tables where your food will be grilled right in front of you. Chef Israel puts on an entertaining show allowing guests to watch his skilled maneuvers while preparing the food. He might juggle utensils, flip a shrimp tail into his shirt pocket, toss an egg up in the air and split it with a spatula, arrange onion rings into flaming onion volcanoes, create rice pyramids or make hearts with eggs! After his entertaining performance you will realize that the food was as enjoyable as the show. 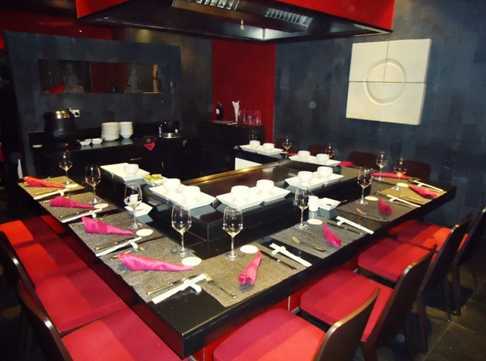 Secrets Silversands follows a no-reservation policy for our restaurants, but you should keep in mind that Teppanyaki tables have limited seating. 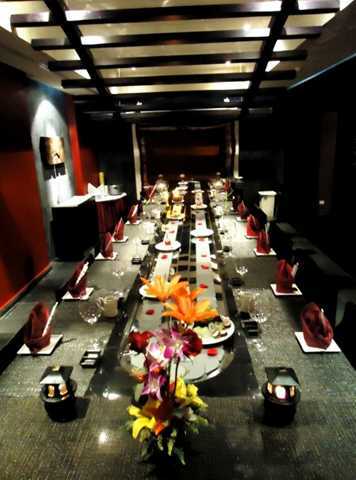 Therefore we have created different schedules for our guests to be able to enjoy this fabulous dining experience. You can meet Himitsu’s hostess a couple of minutes prior the restaurant’s opening to ensure your spot for the evening (Himitsu is open from 6:00pm to 11:00pm). When you visit Secrets Silversands do not forget to stop by Himitsu! About the blogger: Zuko Garcia is the Social Media Coordinator and eConcierge for Secrets Silversands Riviera Cancun. She considers herself a “people person” who enjoys sharing moments and stories with everyone. She is a very active person with lots of energy that shows passion for everything she does. This entry was posted in Secrets Silversands and tagged Guest Blogger, resort dining. Bookmark the permalink. Secrets Silversands has the most AMazing CHEFS! Love Himitsu and all the other great dining there! Loved Himitsu, we had Oscar as our Chef and he was fantastic.